KUWAIT CITY, Oct 14: How has the Bangladeshi zubaidi fish invaded the Kuwaiti markets? This question was answered by an informed source at the fish market in Sharq who confirmed the existence of cases of commercial fraud away from the eyes of the Ministry of Commerce, pointing out the Bangladeshi zubaidi comes in sealed bags and sold as product of Pakistan, reports Al-Rai daily. The source added zubaidi is sold for 6.5 dinars under the label of Pakistani product. The source added some claim also Chinese zubaidi is sold in the market but this is untrue. However, the aim is to send a message to the Ministry of Commerce to know the truth about the imported fish and fight the local fish, especially that the imported fish is not subjected to examination or inspection. In a related context, an official at the Ministry of Commerce denied that the ministry has allowed the sale of Bangladeshi fish as some claim. 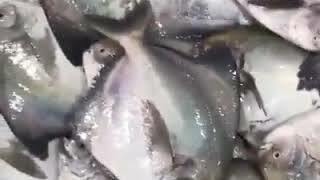 KUWAIT CITY, Oct 14: How has the Bangladeshi zubaidi fish invaded the Kuwaiti markets? This question was answered by an informed source at the fish market in Sharq who confirmed the existence of cases of commercial fraud away from the eyes of the Ministry of Commerce, pointing out the Bangladeshi zubaidi comes in sealed bags and sold as product of Pakistan, reports Al-Rai daily. The source added zubaidi is sold for 6.5 dinars under the label of Pakistani product. The source added some claim also Chinese zubaidi is sold in the market but this is untrue. However, the aim is to send a message to the Ministry of Commerce to know the truth about the imported fish and fight the local fish, especially that the imported fish is not subjected to examination or inspection. In a related context, an official at the Ministry of Commerce denied that the ministry has allowed the sale of Bangladeshi fish as some claim.